If you need to maintain a healthy cash flow, then a short-term loan can assist you in this respect. Because the financing comes with specific repayment terms, you can use to the loan to stay afloat financially while establishing a budget. That’s why some consumers will use a short-term loan to pay off a debt and strengthen their credit rating. Because the loans provide specific repayment guidelines, you can learn to get into the habit of making your payments on time. Usually, short-term financing has a lower APR attached to it than a credit card. The only exception to this rule is the payday loan. 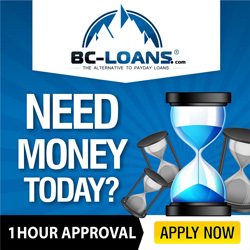 Because a payday loan is obtained without collateral, a higher interest rate is charged. Terms also stipulate that borrowers pay back the financing the following payday after receipt of the funds. For regular short-term financing, the payment amount is typically higher than what you’d spend on a credit card, even if you are paying less interest. A credit card company bases the minimum payment you make on an established percentage of the overall balance. Usually, the payment ratio for a credit card is set at approximately 4%. On the other hand, short term loan payments are divided into installments, all which are established by the financing terms. So, if the balance on a credit card is $600, the payment is generally about $24 (based on the 4% rate). However, if you take out a six-month short-term loan for the same amount, you’ll pay $100 (for each of the six months) plus interest. Short-term loans then are often taken out by customers who have the desire to budget their money or who are already disciplined with respect to personal finance. The loans are also advantageous to small business people who need the money for capital or for emergencies. Again, the interest rate on a short-term loan is generally lower than what it is on a credit card. If the short term loan is an installment loan, you’ll usually pay less than what credit cards charge, which is around 13%. While the interest is contingent on the length of the loan and its terms, most consumers with average or better credit can expect to pay a lower amount. When and how you receive your money differs between a credit card and a short-term loan as well. When using credit, you can access the credit limit without any delay. On the other hand, if you are taking out a short-term loan, you’ll need to wait a couple days while the application is being processed. Don’t go to any lender who does not take the time to check your credit. Usually such companies will charge higher-than-manageable interest rates, all which will make it difficult for you to pay off the loan amount. Short-term loans are generally classified as secured, meaning the loan must be backed by some type of collateral to guarantee repayment. If the consumer defaults on the loan then, the collateral will be taken for repayment. 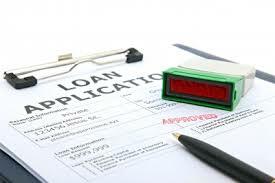 Good examples of short-term loans include pawn loans and title loans, although longer-term short-term loans can be obtained that are based solely on a person’s employment and credit history.